All three cameras deliver 720p resolution, microSD storage, night vision, and IFTTT support. In addition to its new Wi-Fi router and range extenders, D-Link is showing off a trio of new wireless home security cameras at CES this year: two indoor models and an outdoor camera that was previously unveiled at the IFA tradeshow in Berlin last September. We’ve seen a barrage of super-inexpensive security cameras offered by lesser-known Chinese manufacturers such as Reolink and Ezviz, and it looks like D-Link intends to go head-to-head with those products with its DCS-8000LH. This 720p indoor camera is capable of delivering a 120-degree field of view, two-way audio, and an onboard microSD card slot that eliminates the need for a cloud-storage subscription fee. 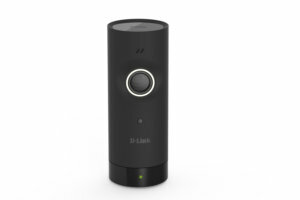 D-Link will offer optional cloud-storage service plans. The D-Link DCS-8000LH will be budget priced at less than $69. 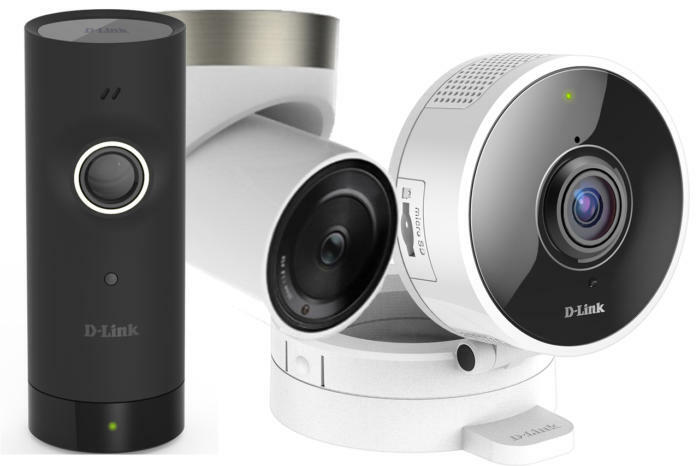 More advanced users won’t be left out, however, as all three of D-Link’s latest camera offerings will also support IFTTT. The DCS-8000LH will sell for less than $69 when it hits the market in the second quarter of 2017. D-Link’s DCS-8100LH will have a wider field of view—180 degrees—and it will also have an onboard Bluetooth radio to make it easier to add to your Wi-Fi network. Consumers won’t need to remember their Wi-Fi password, because they’ll connect the camera to their smartphone via Bluetooth first, and the software will take care of adding the camera to the network. This model also has two-way audio and an onboard microSD card slot. It will be priced below $120 when it ships in the second quarter. The D-Link DCS-8700LH was first announced last September. It’s an outdoor model with a 180-degree field of view, but it also supports two-way audio. Like the other new cameras, it will feature sound and motion detection and 720p resolution. Its night vision extends to 25 feet, compared to 16 feet for the indoor models. The DCS-8700LH will be priced less than $250 when it ships in the second quarter.